Businesses understand that they need to train their staff in Leadership and Management skills to improve their performance, which also results in improvements to business productivity. However, businesses are now recognising the importance of training staff to help them improve the way they work, and the processes that they use. There are many process and quality improvements that businesses can take towards improving the level of services that they offer to their customers, which are vital to their operational success. But only by adopting a culture of continuous improvement will a business generate the desired standard of quality and agility from all its employees. GBS Corporate Training Ltd is delighted to announce that we now offer training in quality and process improvement. Through our new partnership with the CQI, we are pleased to offer a range of courses designed to provide your staff with the knowledge and skills to be able to analyse and redesign your business processes and quality systems to remain competitive, avoid unnecessary costs and improve productivity. The courses are suitable for those involved in all aspects of Quality and Process Improvement and completion of two of these courses, together with demonstrable work experience can ultimately lead to a person gaining the title of CQP, a Chartered Quality Professional. The Chartered Quality Institute is the global chartered body for quality professionals encompassing the whole quality community, including quality management professionals, and is the world’s largest professional body of its kind. The CQI is the only organisation in the world that can award chartered status to quality professionals – an unrivalled mark of excellence, which makes its brand one of the most trusted. GBS is proud to be a partner of the CQI. Why is process improvement important for UK business? Where previously a product, service or marketing plan was designed for longevity, today you need to be ready to react to shifts and trends in the market. This makes it really important for businesses to be agile in how they operate and make improvements to products and processes to meet rapidly changing customer demands. Also, over recent year’s businesses have come under increasing pressure to improve operational efficiencies and reduce costs. Short-term actions often involve restructuring and reducing headcount, resulting in additional pressures being put on the remaining employees to meet delivery times and quality requirements. Often the root causes of poor efficiency lie in the processes themselves. Many have been stretched beyond their original design capability; others have become fragmented, unwieldy and complicated. Others are just no longer suited to the modern business environment where they are being used. Process Improvement refers to the continual improvement of your business, processes, and ways of working. Even if your company doesn’t actively promote process improvement today, that doesn’t mean you aren’t doing it! It just means that you’re probably not doing it as systematically or effectively as you could, and you might not be deploying changes from one sector, or area, to others that could benefit. This is where the notion of a culture of continuous process improvement comes into play and where creating a formalised plan is critical for sustaining your competitive advantage. Leaders and Managers need to encourage a culture of constant, logical, and sustainable improvement throughout the organisation. This allows continuous improvement to go beyond being a ‘nice to have’, and instead becomes the way your company operates at all times. GBS can help in training your staff in lean process improvement, which is a globally recognised approach with its roots coming from Toyota in Japan. By evaluating and redesigning poorly performing processes, outstanding increases in productivity can be achieved, enabling businesses to do more with the same resources. What makes it even more powerful is how the entire workforce is empowered to bring about a coherent and sustained change not only in performance, but in overall business culture. Why should quality improvement matter? Quality improvement is essential to firms that want to increase their customer bases and subsequently their returns on investment. Consumers/customers are concerned about the safety of products they buy as well the efficiency of equipment they purchase. Good quality management can enhance your organisation’s brand and reputation, protect it against risks, increase its efficiency, boost its profits and position it to keep on growing. All while making staff and customers happier. A quality service or product can differentiate a brand or business in the marketplace, reduce cost through lean management processes or reduced resources, eliminate environmental safety or cyber risks, and increase productivity by utilising new technology. Quality relates to many business areas, from improving products, services, systems and processes, to making sure that the whole organisation is fit and effective. Managing quality means constantly pursuing excellence: making sure that what your organisation does is fit for purpose, and not only stays that way, but keeps improving. Quality is not just a box to be ticked or something you pay lip service to. Failures resulting from poor governance, ineffective assurance and resistance to change can, and do, have dire consequences for businesses, individuals and society as a whole. Since its conception in 1985, Six Sigma has realised significant tangible cost savings to those organisations that have embraced it. General Electric, who started Six Sigma in 1995, reported $12bn of savings in their first 5 years. They are not alone in their success – the list of organisations reaping the benefits continues to grow. GBS now offers new training to companies in Six Sigma. GBS is now able to consult with clients across all industries to focus upon all types of process, quality and performance challenges using a breadth of effective tools and techniques. 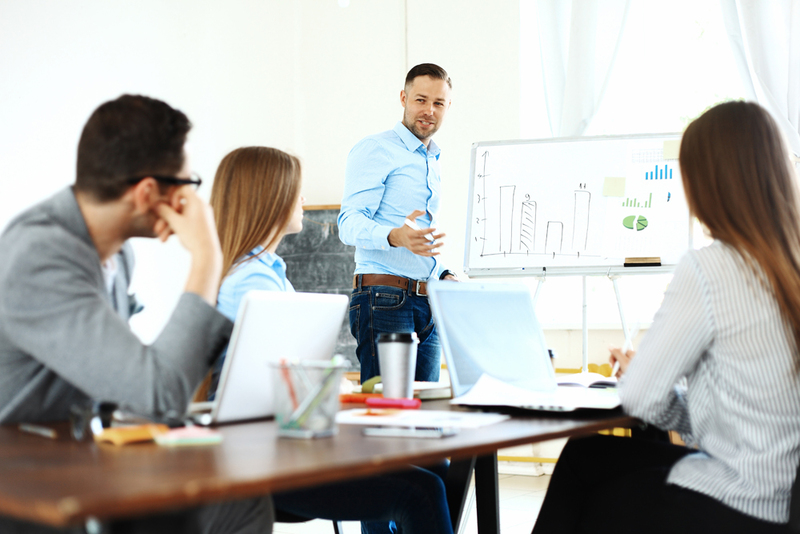 CQI and IRCA Certified Practitioner courses provide delegates with a full understanding of management level quality and auditing topics and show them how to apply this knowledge in their organisation and industry. Also, by completing a CQI and IRCA Certified training courses you meet the training requirements to support an application for the CQI or IRCA. Depending on the level of the course you have completed you can apply for different grades of membership. Or contact one of our training experts to discuss your specific requirements on 01252 618 400.